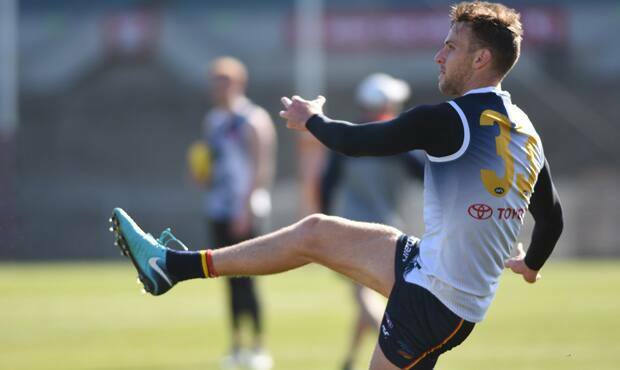 Damaging half-back Brodie Smith is the major inclusion into the SANFL Crows team to face Central District on Saturday afternoon. After successfully completing his rehabilitation from a ruptured ACL, Smith is bursting at the seams to lace up the boots and run out onto My Money House Oval with his teammates. The 2014 All Australian will make his first appearance for Adelaide in the SANFL, marking his first State League game in over five years after last playing for Woodville-West Torrens in Round 4, 2013. Swingman Andy Otten will also return to the SANFL side, after missing the last four weeks with an Achilles issue. The pairing of Smith and Otten will strengthen Adelaide’s backline, which has been filled predominately by development squad players in recent weeks. Forward Michael McMahon, along with defenders Will Rivers and Dom Costanzo are the development squad members who have also been included in the extended squad. Doug Hadden (concussion), Tyson Irlam (unavailable) and Blake Launer (injured) are out of last week’s team. The SANFL Crows will be looking for their second win in a row against the seventh placed Bulldogs, after breaking through for their first win of the season against Port Adelaide last week. Saturday’s game at My Money House Oval in Elizabeth will begin at 2.10pm. Crows members can get free entry by showing their 2018 membership card at the gate.